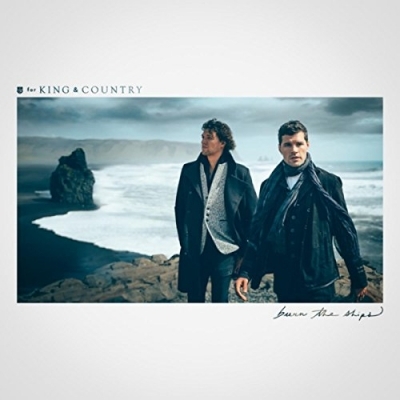 Two-time GRAMMY award-winning duo for KING & COUNTRY just released their newest single, 'God Only Knows,' available now at all digital service providers. The track, featured on their latest full-length release Burn The Ships, serves as a message of hope to those feeling distressed. for KING & COUNTRY recently took to social media to raise awareness for a few causes close to their heart, including human trafficking and suicide prevention. The response they have gotten since has been overwhelming. Fans from all over the world left comments describing their own experiences with depression and anxiety, crediting “God Only Knows” for helping them through some of the toughest times of their lives. You can view the moving music video, which just surpassed 10 million views, above. 2019 is shaping up to be a big year for the duo. “God Only Knows” has just debuted as the #1 most added song on Billboard Christian Airplay and Mediabase Christian Audience charts. for KING & COUNTRY is gearing up for their massive burn the ships | the 2019 world tour, which has already produced multiple SOLD-OUT shows in their homeland of Australia. They added second shows in Sydney, at the famed Sydney Opera House, Brisbane, and Melbourne. After touring Australia, the band will then make stops in Singapore, The Philippines, and the United States.